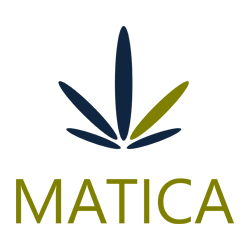 July 12, 2017 – Toronto, Ontario – Matica Enterprises Inc. (MMJ – CSE) (39N – Frankfurt) (MQPXF – OTC) (“Matica” or the “Company”) is pleased to announce the addition of Mr. Denis Bouchard to the board of directors. Mr. Bouchard has served for 25 years in the Canadian Forces. His experience managing people and projects will prove valuable as we move the Company forward. Mr. Bouchard has served as a director of Normabec Mining Resources Ltd., Explor Resources Inc., and Stellar Pacific Ventures Inc. He also served as President of NX Phase Capital Inc. He is a Director and former President of the Fondation du Musée Naval de Québec. Mr. Bouchard holds a Bachelor of Arts Degree from Laval University and a Certificate in Science and Technology from the Université du Québec. Mr. Bouchard resides near the Ottawa River which is well situated for our future operations in Dorval. The Company has granted 14,500,000 stock options exercisable at $0.11 for up to two years from date of grant. These include 7,500,000 options to three officers (two of which are also directors), 2,000,000 to two independent Directors, and 5,000,000 to four consultants. Matica has an agreement with RoyalMax Biotechnology Canada Inc. (“RoyalMax”) for Matica to become a majority owner (70%) of the late stage applicant under the Access to Cannabis for Medical Purposes Regulation (“ACMPR”). Matica and RoyalMax are diligently working to complete the build out of the 10,000 square foot facility in Dorval Quebec. This news release contains statements about the Company’s information that will be made available on the S&P Capital IQ Corporation Records Listing Program and the business of Matica that are forward-looking in nature and as a result, are subject to certain risks and uncertainties. Although the Company believes that the expectations reflected in these forward-looking statements are reasonable, undue reliance should not be placed on them as actual results may differ materially from the forward-looking statements. The forward-looking statements contained in this news release are made as of the date hereof, and the Company undertakes no obligation to update publicly or revise any forward-looking statements or information, except as required by law.